GENERAL DESCRIPTION: This villa is situated on its own, in a quiet area between Latchi and Prodromi village. SLEEPS:10 Four double bedrooms upstairs, one with en-suite facilities. 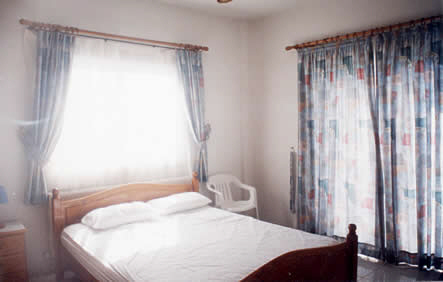 One double bedroom downstairs. All the bedrooms are large with a nice view. 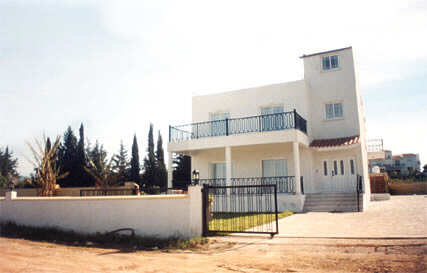 The villa has 3 bathrooms in total. 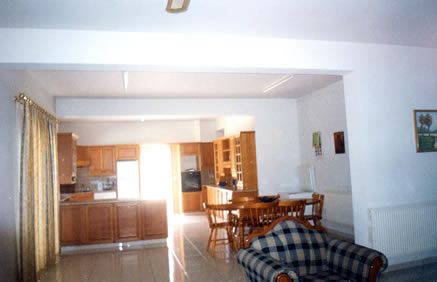 There are ceiling fans in every bedroom and in the winter the villa is centrally heated. The living room is nicely furnished and has a TV .This room has a sea view. Kitchen facilities include an electric oven and microwave, fridge/freezer, washing machine, dish washer toaster and kettle. There are very nice verandas with sea and mountain view. Outside you have your own private parking area, garden, patio and barbeque. 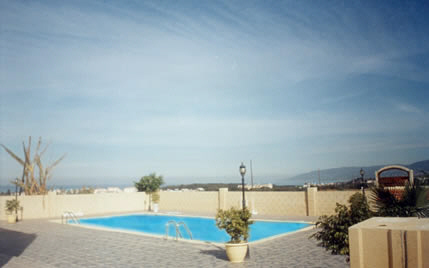 The swimming pool is 7m x 14m. DISTANCES 1500 m to the Beach. The cleaning of the villa is every Wednesday and Sunday. This is also the start and finish date of the weekly rental.